The rat has the first position in the Chinese Zodiac . 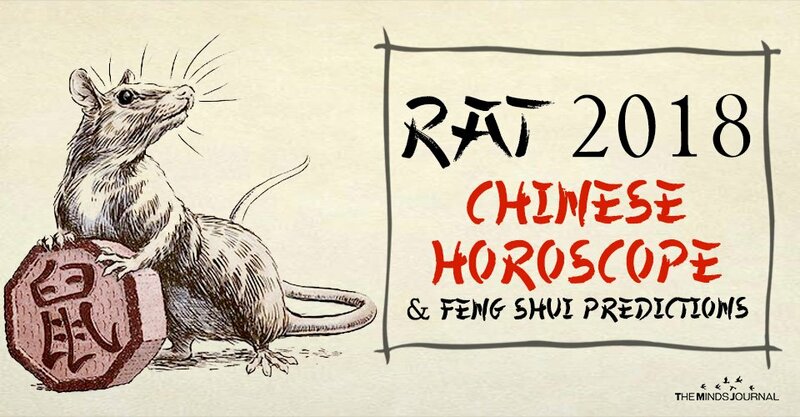 Your “Chinese zodiac animal is Rat” if you are born in of these years: 1924, 1936, 1948, 1960, 1972, 1984, 1996, 2008, 2020. The following are the twelve zodiac signs: Rat, Ox, Tiger, Rabbit, Dragon, Snake, Horse, Sheep, Monkey, Rooster, Dog, Pig. 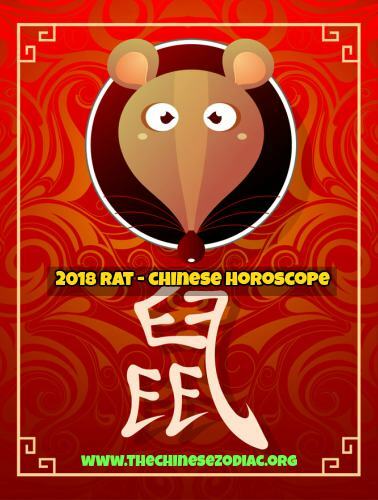 The Rat Chinese horoscope 2018 predicts that you may be filled with a vague feeling of dissatisfaction even though things will go quite well. Don’t listen, then, to the insidious little voice that will incite you to see things in black. Look at your life with serenity: You’ll realize that, in fact, you’ve absolutely no serious reason to complain or even to worry. Celebrate the many good things you’ve been given. Although you will have many opportunities in your career, don’t hesitate to use Feng Shui objects to attract success. Your health state is not constant, therefore you should use a Buddha intended for this scope. The recommended beads for balancing your energy are Pi Yao and Dzi, to which you can add an amulet with you zodiac sign. Some of you might have suffered from loneliness or lack of understanding in the past, but this time things will suddenly improve. You’ll experience true and solid love. In all cases, if you’re already part of a couple, the understanding with your mate will be strengthened in a spectacular way. And if you’re still an independent heart, you’ll very likely have an unexpected but decisive encounter that will transform your life in an exciting way. Your life as a couple will be harmonious. Nevertheless, try to avoid being negligent toward your mate: A gentle word, a small attention or a quick kiss can work wonders. If you’ve yet to commit yourself to another, you will seriously think about legalizing your current amorous relationship and settling down in life “like everyone else”. Profit well from this favorable period: Enjoy your love affairs, which will be without storms or clouds. Provide yourself with a nest safe from prying eyes so you can exchange tender kisses. Shelter and protect your sweet intimacy. Single natives will have nothing to worry about. If their love life lacks some spice, they will enjoy the calm state of their affairs. Moreover, marriage may be a real possibility in the near future. You’ll see to it that your couple life has a succession of privileged moments. You’ll strengthen your ties with your spouse or mate by making time to have important conversations. This blessed philosophy will get you much nearer to your sweet half. Single folks, you should try to have more patience! Oh yes, you’ll certainly have some emotional outbursts these days, but there’ll be nothing really alarming. Do not let financial debt burden one’s worries for there are other things in life that could be more important.